The aim of this page is to provide information to those who find themselves involved in court cases which may be or are being considered by a judge within the Court of Protection. This may be in Leicester or elsewhere. It is not intended that this section act as a substitute for obtaining legal advice from a suitably qualified lawyer. Instead it is hoped that they will provide non-lawyers who are involved in Court of Protection cases with a starting point for information purposes and research as well as ‘signposting’ users to other suitable resources and organisations. Remember, if you do think you need a lawyer, or would like to find other organisations which can give you advice about your situation, visit our INFORMATION CENTRE. The Court of Protection deals with cases involving adults who are unable to make decisions for themselves because they lack the ‘capacity’ to do so. People may lack capacity for many different reasons. They may never have had capacity at all or they may have once had capacity but are no longer able to make decisions as a result of an illness, disorder or traumatic event or accident. Whatever the reason, once it has been decided by the court that a person lacks the capacity to make a decision or decisions then the Court of Protection may make decisions on that person’s behalf or, in some cases, appoint or allow others to make such decisions on their behalf. These decisions may be about almost any aspect of person’s life. To make matters more straightforward the court tends to look at decisions as relating to a person’s welfare, their finances and/or their property, although many cases which are considered by the Court of Protection involve people who require decisions to be made on their behalf in respect of both their welfare and their finances. When looking at which decisions a person lacks the capacity to make it needs to be remembered that each case is different and each individual’s case requires careful consideration because to make decisions on a person’s behalf in this way is a significant interference with their rights to make such decisions. As the Court of Protection is a court of law, it has its own legal framework which is contained within the Mental Capacity Act 2005. The Court of Protection is also governed by the Court of Protection Rules and associated Practice Directions and Codes of Practice. Many cases have been decided by the judges of the Court of Protection. These decisions assist other judges when they are faced with making similar decisions in similar cases. Such decisions are often called ‘authorities’ or ‘precedents’. Authorities or precedents help lawyers and judges interpret the legal framework and the way in which it is thought to apply to a particular case. The judges in the Court of Protection are lawyers whose role it is to make decisions when there are disputes between people (including organisations) as to what is in a person’s best interests. Capacity is discussed in more detail within the section entitled ‘Key Principles of the Court of Protection’. Those people or organisations involved in Court of Protection cases are known as parties. The number and identity of the parties involved vary from case to case. In most cases, a party to a case will be a person or organisation who has a connection to the person who is thought to lack capacity to make decisions for themselves. In some cases, parties will be eligible to obtain legal aid. In other cases, they will not and so, have the choice to either represent themselves or to pay for a lawyer to represent them. The person who is thought to lack capacity must also be represented but, because they lack capacity, they will require a ‘litigation friend’. This is a person who conducts proceedings on that person’s behalf. It is, of course, vital that the person at the centre of the proceedings is able to have a voice within the case. They are able to act competently and fairly on that person’s behalf. However, in many Court of Protection cases the interests of the parties may be in conflict with the person whose capacity is being considered by the court. If so, the court will look to others to help. This may include professionals and, as a last resort, the Official Solicitor. There are different types of hearings in Court of Protection cases. Each hearing should be geared to working out where the disputes between the parties lie and obtaining the evidence that is required for the court to make decisions about those disputes. There may be several hearings before the court is in a position to finally consider all of the evidence required to resolve the dispute between the parties. These hearings are called interim hearings. At each hearing an order is made. These interim orders let the parties know what the court wants them to do before the next hearing. The evidence the court requires from the parties comes in many forms from, for example, medical, health and social care records to written statements from individuals. The Court of Protection also has wide powers to obtain evidence not only from those parties involved in the case but from other individuals or organisations which are known as ‘third parties’. At some stage in disputed cases and usually when the court has obtained all of the evidence which it thinks it needs to make decisions in respect of any disputes, the court will hear evidence from the parties. This usually means that the parties will have to tell the judge their views on the matters in dispute. The other parties will have the chance to ask them questions about these views and, in turn, that party will have the chance to ask the other parties questions, too. Once the court has heard from all of those parties involved in a case it is able to make a decision on the disputed issues. Once the court has made its decision and told the parties what its decision is then the court will make an order. This order is a document which sets out the court’s decision and is binding on all of those parties to the case. Any order of the court may be appealed but special rules apply to such appeals. Usually, simply being unhappy with the final order which has been made by the court will not be sufficient to successfully appeal or overturn that order. Individuals are entitled to represent themselves within the Court of Protection. They are also able to use a ‘McKenzie Friend’ to assist them in presenting their case. Another alternative is to secure legal representation through a solicitor and/or barrister. There are many professional lawyers who are able to assist. Their fees will vary from lawyer to lawyer, firm to firm and case to case. Like any court, the Court of Protection uses an Act of Parliament as a framework to help it make decisions. For the Court of Protection, perhaps the most relevant Act of Parliament is the Mental Capacity Act 2005. The Mental Capacity Act 2005 sets out the key principles that the Court of Protection must apply in those cases which come before it. These key principles are considered in this section. What type of case is considered by the Court of Protection? The Court of Protection deals with cases involving adults who are unable to make decisions for themselves because they lack the ‘capacity’ to do so. As described above, the judge will be required to make decisions – or appoint another person to make appropriate decisions – on behalf of the person who lacks capacity. Capacity, in this sense, is having the ability to make decisions for yourself. One of the key principles of the Mental Capacity Act 2005 is the ‘presumption of capacity’. This means that a person is presumed to be able to make their own decisions unless it can be proved that they cannot. It is also important to remember that just because a person makes an unwise decision or decisions does not mean that they lack capacity. This, too, is one of the key principles of the Mental Capacity Act. It is clear that working out what is meant by ‘capacity’ and deciding whether a person does or does not have capacity is potentially very difficult. It is because this is a difficult and important decision to take that the court has to be careful as to how it assesses a person’s capacity to make a decision or decisions. because of an impairment of, or a disturbance in the functioning of, the mind or brain. For the purpose of the Mental Capacity Act 2005 it does not matter if the impairment or disturbance of the mind is permanent or temporary. The fact that a person is only able to retain information for a short period only does not mean that they are, automatically, considered to be unable to make a decision. A person cannot be considered to lack capacity simply because of their age or appearance or because of a condition or an aspect of their behaviour which might lead others to make unjustified assumptions about their capacity to make decisions. When an application is made to the Court of Protection it is necessary for those who make the application to prove that a person does not have capacity. To this end, an Assessment of Capacity form is completed and sent to the court. This is a standard form which in which is set out those matters that the court has to take into account when making this important decision. The Mental Capacity Act 2005 also states that a person should not be treated as unable to make a decision unless all practicable steps have been taken to help them to make the decision and that those efforts have been unsuccessful. The words ‘all practicable steps’ can mean different things to different people as what might work for one person may not work for another. Helping people to make decisions in this way is another one of the key principles which applies to any decision made or act done on behalf of a person who lacks capacity. Once it has been decided that a person lacks capacity to make a decision or decisions, any decision which is made on their behalf must be made in their best interests. Again, whilst this may seem obvious this, too, is one of the key principles of the Mental Capacity Act. What is in a person’s best interests differs from case to case. When making decisions like this the Court of Protection will take into account the person’s past and present wishes and feelings (where possible) as well as their beliefs and values and any other factors which that person would be likely to consider if they were able to do so. In doing this the Court of Protection must again be clear that the person has been helped to make the decision or decisions and to express their wishes and feelings. It is also important that any other person who is caring for the person or interested in their welfare is consulted as to what they think may be in the person’s best interests. Often in cases which are considered by the Court of Protection one of the main disputes is about what different people or professionals think is in a person’s best interests. In such cases it falls to the court to make the decision but, in making that decision, the court must take into account of those matters set out above before reaching a conclusion. Finally, the last of the key principles that the Court of Protection must consider is what is called the ‘least restrictive option’. This means that the Court of Protection must first decide whether it needs to make the decision or do the act on the person’s behalf at all. It also means that when the Court of Protection makes a decision on a person’s behalf it must consider whether it is possible to make this decision or do the act on their behalf in another way which would interfere less with that person’s rights and freedoms. 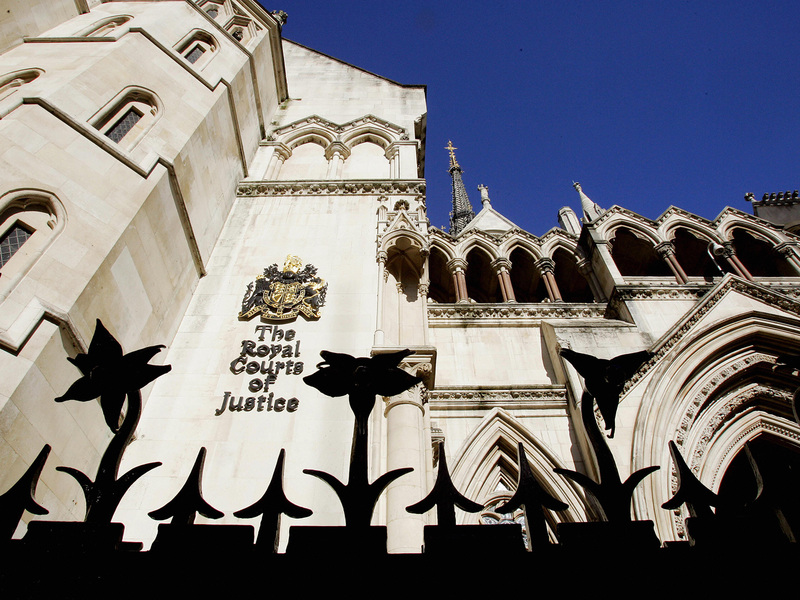 Until recently, Court of Protection cases were heard exclusively by judges in at the Court of Protection or High Court in London. However, more recently a number of regional (branches) of the Court of Protection have been established. One such regional branch exists in Leicester. This means that a number of judges who are based in Leicester are now able to make decisions in Court of Protection cases. 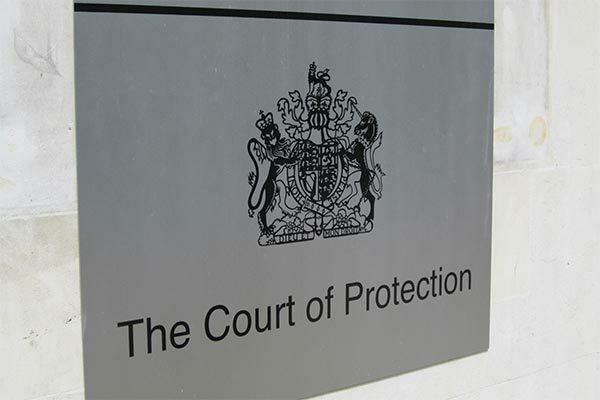 The Court of Protection has long been criticised as a ‘secret court’. More recently the Ministry of Justice has attempted to consider ways in which the Court of Protection might be considered more ‘open’. Between 28th January 2016 and 24th July 2016, the Court of Protection is trialling what is called the ‘Transparency Pilot’. For the duration of this pilot scheme (at least) the public and media are permitted to enter court rooms during Court of Protection hearings. This has a number of practical implications for those who find themselves involved in hearings within the Court of Protection. For instance, Court of Protection hearings are no longer held in private which means that members of the public and media may be present in court when highly personal information about a person and their family is being considered by the court. However, the Court of Protection can and generally will impose restrictions on the use of any information which is given or obtained by anyone who attends the hearing whether or not they are directly involved in the case, for example, as a family member. It is important to know about what you can and cannot say about proceedings to others who are not involved in the case. You should be particularly careful when thinking of either contacting the press or posting things on social or other electronic media. Any breach of a court order is a serious matter and could be contempt of court.